You’re at an important event and filming video to capture the moment. It could be a graduation, an intimate concert, an engagement or a wedding. Time is quick and the moment is only going to happen once. Capturing it in the moment is critical. You get home however and realize that your video is vertically oriented. To see the details though, you need it horizontally oriented. There are a lot of reasons why you’d need your video inverted, flipped, mirrored or rotated. Maybe it’s clearer using a different perspective. Maybe it is easier to see important details. Maybe it’s just your preference to have it inverted. If you are using a Mac computer, you already have the solution to rotate, flip and mirror the footage for free with the built-in iMovie video editing software. In this article, we will show you how to rotate the video horizontally and vertically in iMovie as well as how to flip video footage in it. 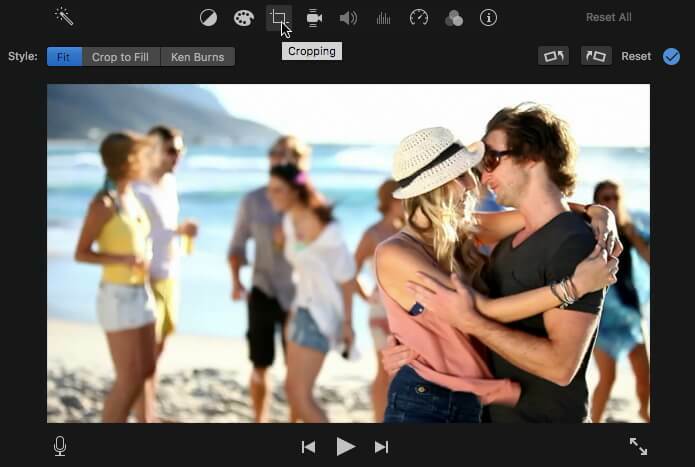 The value of iMovie is that anyone can easily use it and it has more tools than ever to alter your videos to get the desired result. In this part, we will show you how to rotate the video clockwise and counterclockwise, and how to flip videos clips with one-click in iMovie. Open the iMovie application and drag the clips to the timeline. Select the clips need to rotate in the timeline and then click Cropping icon in the menu above the Viewer window. When you get to the cropping tool viewer, you just drag the Rectangle box to resize the video to your specifications. You can use the pointer to a corner until you see a plus sign. Drag it to make the video either smaller or bigger. You can also use the “allow black” option to keep a border on your video. 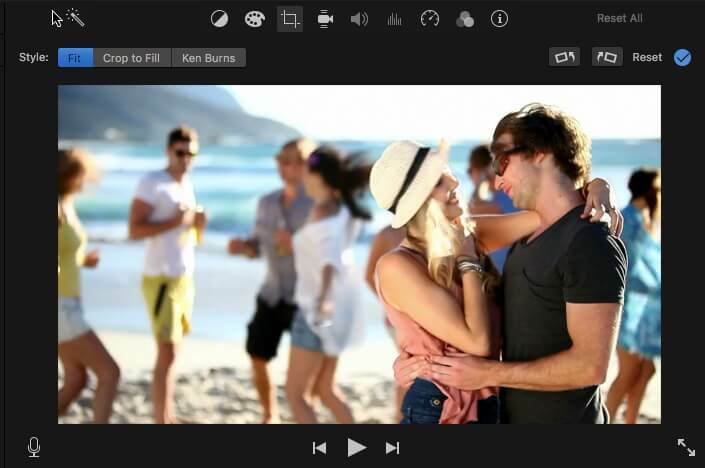 This is a nice option if you want to have a virtual frame on your resulting video. Click the Rotate icon on the right side of the Cropping tools interface, you can choose to rotate clips clockwise or counterclockwise directions to turn the video left or right. Whichever icon you click , the video shifts 90-degrees in clockwise or anticlockwise direction. Always check to make sure your video’s image still fits the aspect ratio. Black bars may appear on top and bottom of your video image if you don’t watch out for this. You may also like: How to remove black bars without Degrading Quality. 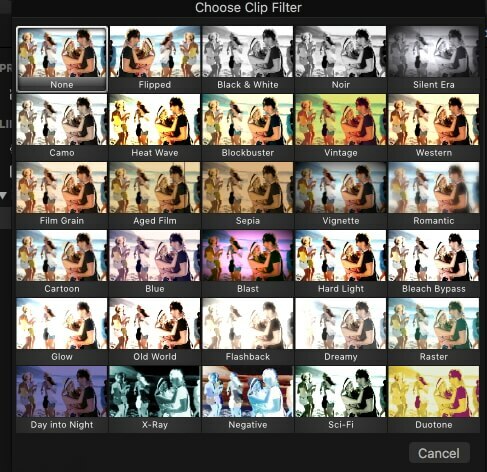 And then click the Clip Filter option and in the pop-up Clip Filter window, select Flipped filter. The video clip in the timeline will be flipped and mirrored automatically. When you get the look you want, click the Apply icon to save the change. This is where you can see the eventual project. If you’re happy with the result, click done. 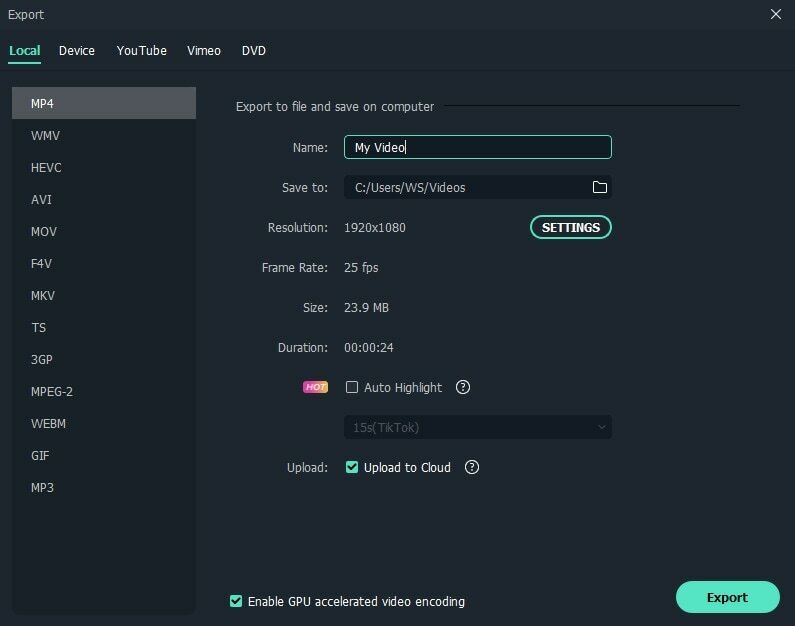 That will automatically save your video. If you are editing a movie in iMovie, most of the time the movie isn’t supported by your software. Because of this, you have to convert the video before working with it. To help you do this, you can use Wondershare Filmora for Mac . This is a simple but highly effective tool to use when editing video and it supports just about every video and audio format you may be using. As usual, you have to import the file you want to work on. This is simple though with the import tool. Go to File and then click on import media. You also can use the drag and drop feature to do it in one step. You have a media browser built in so if you don’t know where your file is, you can easily locate it from the program. Formats such as Photo Booth and iTunes Library are compatible. It also gives you the ability to capture video with its capture device or with the iSight, which also is built in. Next you want to crop your video. Just click the crop button. 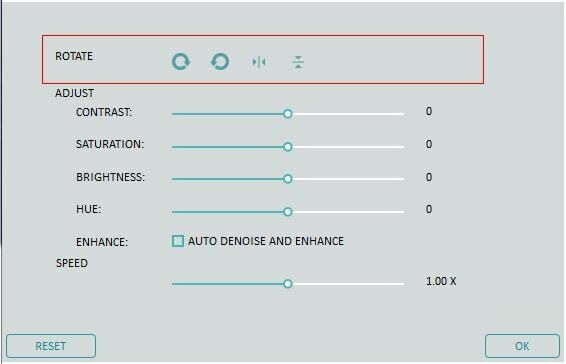 There are two preset window options of 16:9 and 4:3, but you can also use the window to get the desired size you want manually. Use the rotate button to then shift the video to how you want it. You also can right-click for the rotate option. Again, the video will rotate 90-degrees. From this screen you also can flip vertically or horizontally. Once you’re ready to finish your editing, click export. This is where you save the new format video. You can upload it to a file-sharing platform like YouTube or burn it to your DVDs for distribution. 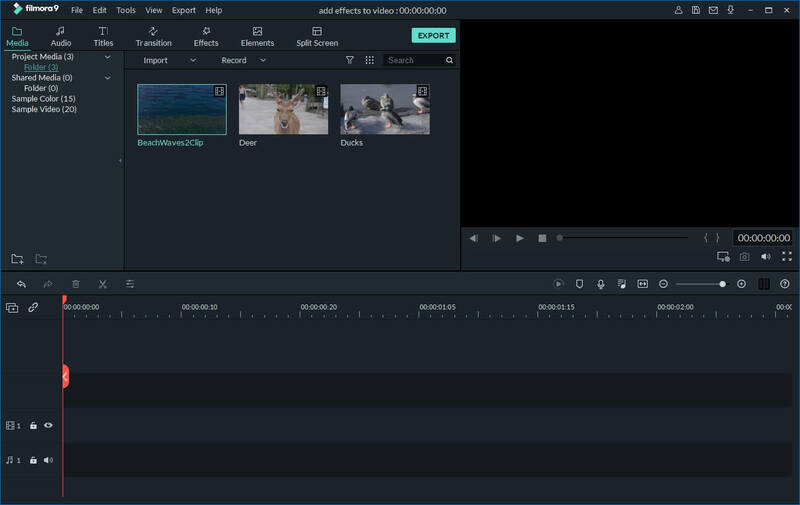 Working with Filmora is going to be an easy and quick option for your videos. Its value is how simple it is and how compatible it is with different formats. You don’t have to be an expert to make fabulous videos and manipulate them exactly the way you want them.